Coffee is notorious for causing insomnia. But this is largely because a lot of people drink it without really considering its exact effects. You can’t just chug a 32oz cup just ‘cause you’re feeling sleepy in the middle of the afternoon. You’re bound to regret that decision when you’re tossing and turning later in bed. So yes, coffee can cause insomnia. 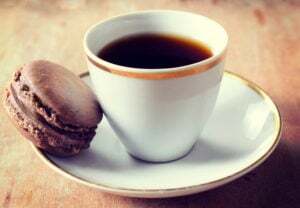 But when it’s consumed in moderation, properly brewed coffee has also been known to decrease the risk of diseases like diabetes, Alzheimer’s, and even heart disease. Ironically, these are also the diseases you’re likely to develop from chronic insomnia (which can be caused by misusing coffee). Experts say that you can enjoy the above health benefits of coffee through moderate and regular consumption. Moderate consumption means drinking only about 3 to 5 8oz cups per day. On average, experts estimate that there’s about 100mg of caffeine in every regular 8oz cup. Thus, 3 to 5 8oz cups of coffee translates to about 300 to 500mg of caffeine, the recommended daily dosage for most healthy adults. And according to the Mayo Clinic, it’s dangerous to exceed 500 to 600mg of caffeine per day. The best way to control your caffeine consumption is to brew your own coffee. Brew it at the office if it’s inconvenient to do at home. This is going to take some extra effort, but if you want to maximize coffee’s benefits (without the insomnia), it’ll be well worth it. The problem with most commercially-available coffee is that the caffeine content is often unregulated. An 8oz cup of commercially-brewed coffee can have as much as 180 to 200mg of caffeine. That’s around twice the average amount of caffeine in a regular, home or office-brewed 8oz cup. It’s also worth mentioning that this only applies to plain brewed coffee. In some cases, caffeine is not the only chemical that you need to consider. When coffee beans are brewed correctly, each cup comes with antioxidants that lead to the abovementioned health benefits. 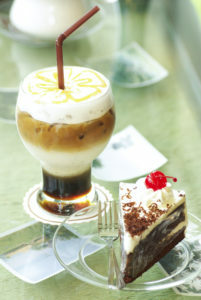 However, it’s a different story altogether when you’re consuming coffee in the form of a sugary, creamy concoction. All those flavor additives might just offset any health benefits you can get from regular and moderate coffee consumption. So as much as possible, steer clear of fancy lattes. Instead, make your own coffee from scratch. It’s actually not that hard to do. And if you have no idea where to start, everything you need to know is already online. It’s going to take a bit of trial and error at first, but that’s normal. After some time, you should be able to correctly estimate how much coffee you need to sustain your energy throughout even the most demanding days. And don’t worry about getting teased for being the office ‘coffee snob’. That’s a small price to pay for having a healthy daily caffeine intake. Another big factor that you need to consider is how long caffeine stays in your body. Half-life is the amount of time it takes for half of an ingested chemical to leave your system. The estimated half-life of caffeine in most healthy adults is 6 hours. This is how half-life works: If you drink an 8oz cup with 100mg of caffeine at 9AM, you’ll still have around 50mg of caffeine by 3PM. And by 9PM, you’ll still have about 25mg of caffeine in your system. That’s just from that single 8oz cup in the morning. How much more caffeine will be in your system by bedtime if you drink 3 to 5 cups per day? What’s an article about coffee without at least one generic picture of a coffee cup? This doesn’t necessarily mean that you should just stick to a daily dose of just 1 or 2 cups. It just means that you should be more mindful of how long caffeine can remain in your body. 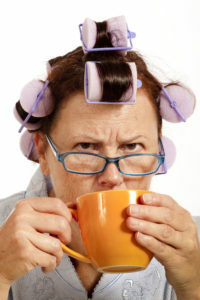 Most healthy adults can still enjoy sleep while under the mild influence of caffeine. It’s just a matter of managing how much caffeine is left inside your body come bedtime. Do you really need that last cup of coffee at 3PM? If you drink it, would you be able to shake off its effects by 9PM? Some can and some can’t. Plenty of factors can influence the amount of time it takes your body to process caffeine. It’s very easy to abuse coffee. Try your best not to be that guy. For instance, compromised liver function can greatly increase caffeine’s half-life in your body. Genetic factors can also make some people much more sensitive to even small amounts of caffeine. If you’re concerned about how well your body processes caffeine exactly, consult your doctor. You can only benefit from getting more information on how intensely caffeine can affect your body. Nootropics are substances that can improve cognitive function, memory, and creativity. Caffeine is technically not a nootropic. It just feels like one because it’s a powerful stimulant. It doesn’t increase brain function. It simply keeps you from falling asleep. So if you’re drinking coffee for its perceived cognitive benefits, don’t. If you’re not sleepy, there’s no reason to grab a cup just because you’re stuck with a work problem. A better solution would be to just take a walk or meditate – activities that are proven to be beneficial to creative thinking. Reserve your cup of coffee for when you’re actually feeling sleepy. Also, don’t ever feel obligated to finish an entire cup if you’re already feeling its effects. It takes about 10 to 15 minutes before caffeine actually kicks in. Sometimes, it’s better to make space for that next cup of coffee that you’ll be needing later at noon. And if you’re highly caffeine-sensitive to the point that just 1 or 2 cups can cause anxiety, consider switching to tea. Different varieties of tea contain varied amounts of caffeine. But even the strongest tea contains less caffeine than the average coffee cup. Remember: caffeine is a drug. And you should treat it as such. Moderation is the key to keeping your caffeine intake under control.